Offering you a complete choice of products which include Elegant Modular Kitchens such as Super Island Kitchen, Elegant Modular Kitchen With Breakfast Table and Vinyl Kitchen. These Elegant Modular Kitchens can be customized as per our customers specifications and availed at industrial leading price. Being as client-centric organization, we are engaged in manufacturing, supplying and exporting innovatively designed Modular Kitchen with Breakfast Table. 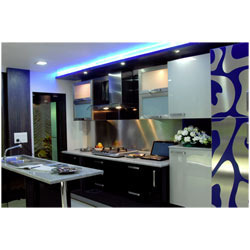 These modular kitchens are equipped with the latest technologies and world-class components. Our exclusive range is developed in compliance with the industry norms and by adopting the latest techniques. We offer our range at most affordable rates in market. Our product range encompasses elegant modular kitchens, Antique Kitchen Cabinet, stainless steel modular kitchen and island kitchens. These products are highly appreciated for features like reliable performance,rigid construction,corrosion resistant finish, sophisticated designs, elegant looks,longer service life,optimum quality & excellent performance,these are widely used in kitchens,hotels,restaurants,& industrial canteens. We export our products all over the world. As a leading firm, we are engaged in manufacturing, supplying and exporting a huge gamut of Vinyl Kitchens. 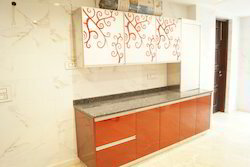 These kitchens are available with the facility of customization that facilitates our esteemed and respectable clients to choose their desired option accordingly. Our sophisticated infrastructure facilities and strong workforce enable us to produce the best quality products in market. We are engaged in offering an extensive range of SS Island Kitchens which are made by using very superior and premium quality raw material. 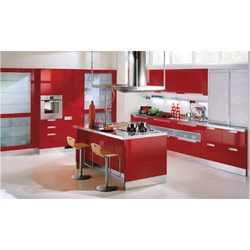 These Super Island Kitchen are available in various designs and patterns. 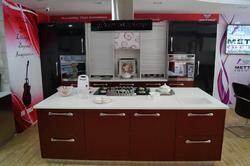 We offer these Super Island Kitchen at most affordable as well as at market leading prices. Looking for Elegant Modular Kitchens ?